This post is intended to provide an overview of information about digital badges and possibilities in teaching and learning. This post is a supplemental piece meant to accompany the column printed in the Journal of Adult and Adolescent Literacy. You can find out more about the column and subsequent interviews in coming weeks. Digital badges are visual representations of learner accomplishments. They are symbols or indicators of an accomplishment, skill, quality, or interest. They are symbolic representations that can be easily shared and communicated across varied academic, social, and work-related contexts. Unlike traditional scout badges or other credentials such as school grades or transcripts, digital badges can contain specific claims regarding what the earner learned or did and detailed evidence supporting those claims. Please review the video overview that details what is in a badge. Open badges are digital badges are designed to be collected by individual learners in their digital backpack and displayed across different contexts and environments. A digital backpack is an online space where learners can collect and display their badges online. An open badge is a digital image or digital badge that has metadata ‘baked’ into it. As Doug Belshaw indicates, once the metadata has been baked into the image to create the open badge, it cannot be removed from the resultant “cake.” Open badges have the potential to form living portfolios for recognizing personal competencies and achievements and communicating these between education and work. A digital badge is really a graphic with a ton of “metadata” behind it. Metadata is data about data, or more specifically, data that contains an underlying definition or description. The real power in the badge is in the metadata associated with it. The metadata is a series of links and data that indicates what the badge is for, what criteria were used to award the badge, and any standards associated with the badge. The image and metadata work together to form a graphical representation of some collection of knowledge, skills, dispositions, or competencies that have been determined by the issuers. 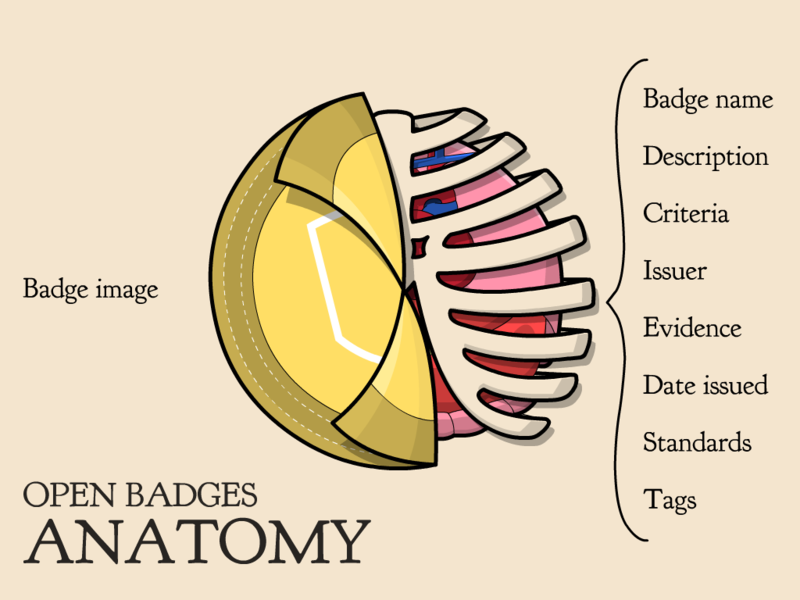 My favorite definition of digital badges comes from Dan Hickey on one of the badges community calls: Badges contain detailed claims about learning, links to evidence of learning, and they’re shareable over the web. To earn a badge, in most instances you need to “pledge” for a badge as a pathway to a goal, or to identify an accomplishment. In this there needs to be some formal announcement from a student that they are working toward earning a badge, or that they believe they have conducted work that would earn them a badge. After they have completed the requirements for the badge, a review process is typically conducted to see if they earned the badge. This review might consist of a self-review, a peer-review, or an assessment by experts. All of this information is made openly available by the badge issuer, and is sometimes included in the metadata for the badge. One of the benefits of open digital badges is that you can often access and review the work, reflections, and feedback from the review given to individuals that have already earned the badge you’re pledging for. In this process, you are able to see the knowledge, skills, and dispositions the badge issuer is looking to recognize. In some instances, digital badges are awarded as a form of “stealth badge”, or an award given for criteria unknown to the earner. These stealth badges are often viewed as a surprise by the earner. Please review the following video to learn more about badging ecosystems, and the possible value of badges. How do you issue a badge? Anyone can issue open digital badges, either by running a badge creation application on their own web server or signing up with an issuing platform. Before considering the technical requirements, it is important to design badge systems to fit your goals as you design a badging program. As you start building your badge, and possibly a full badge ecosystem, I recommend starting with this template which was developed by digitalME to use as develop the individual badges. As indicated earlier, badges are awarded as a way to use a layer of technology and a layer of social media to document learning by an individual. To ensure that you don’t confuse learners, and eventual earners of your badges, you’ll need a certain level of “granularity” before beginning to award them to students. In plain speak, it needs to be crystal clear as to what the badges mean, and how people can earn them. 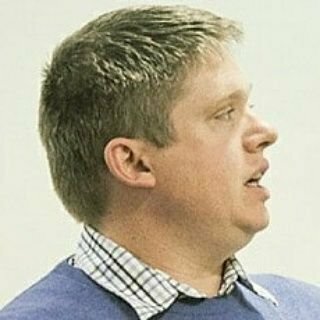 To learn more about assumptions as you create and issue badges, please review the following video from Doug Belshaw. Open badges are visual symbols of accomplishment that include detailed metadata describing that accomplishment and featuring automated verification of their authenticity. There are many other factors associated with developing and awarding digital badges, or a full badge ecosystem. I detailed most of my thinking in the development of badges and a badge ecosystem in this post. I have also been detailing my work and reflecting on the challenge and opportunities I’ve encountered along the way on this blog.